How easy is it to get off our fossil fuel habit? How does our current energy consumption compare with our sustainable energy options? How can we make energy plans that add up? This talk will offer a straight-talking assessment of the numbers, and will present the DECC 2050 Pathways Calculator. 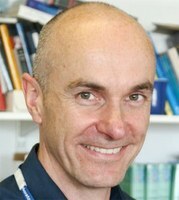 David MacKay FRS is a Professor in the Department of Physics at the University of Cambridge. His best-selling book, "Sustainable Energy - without the hot air" [www.withouthotair.com], has been described as "a tour de force" (The Economist), "a must-read analysis" (Science magazine), and "this year's must-read book" (The Guardian). In 2009, he was appointed the Chief Scientific Advisor to the UK Department of Energy and Climate Change. The Barlow Lecture is held in memory of Harold Everard Monteagle Barlow (1899-1989) who was the Head of the Department of Electronic and Electrical Engineering at UCL from 1950 to 1967. He invented the H01 millimetre waveguide and is remembered for his many contributions to microwave research for which he was awarded the IEE Kelvin and J J Thompson Premiums, the Faraday Medal, the URSI Dellinger Gold Medal and the IEEE Kelly Prize.